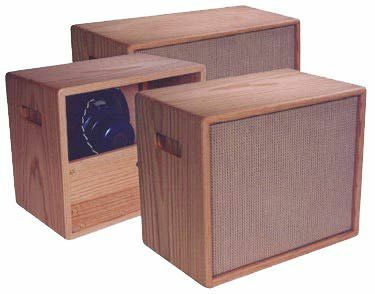 Alessandro custom-builds matching speaker cabinets in a variety of configurations (1×12, 2×12, 4×10, 4×12) and in a variety of furniture-grade hardwoods, including Oak, Maple, Cherry, Walnut, Mahogany, Koa, Cocobolo, and other woods as available. A variety of speaker types are available, including Celestion Bulldog alnico-magnet, vintage-style speakers. Please contact us for more info.